If you are thinking of investing in a new hydration style backpack, it can be tricky even to know where to start as there are so many varied options. A hydration backpack needs to be so much more than just a reservoir holder for your liquids with shoulder straps attached to ensure it’s easy to carry. Chances are, you will also want to have a fully functioning backpack that meets all your daily outdoor missions, so that means comfort, dependability, and security, as well as plenty of additional storage for all your essential items. We’ll take a look at one of the exceptional models offered by the renowned outdoor accessory company, CamelBak, which we think has all the features you will ever require. We love this CamelBak hydration style backpack with its convenient and generous 3 liter integrated onboard water chamber to deliver all day hydration while on the go. CamelBak is well renowned for their quality outdoor accessories and for manufacturing a range of products designed to support you on camping, trekking, hiking, or mountaineering expeditions across varied terrains, even when faced with changing weather conditions. 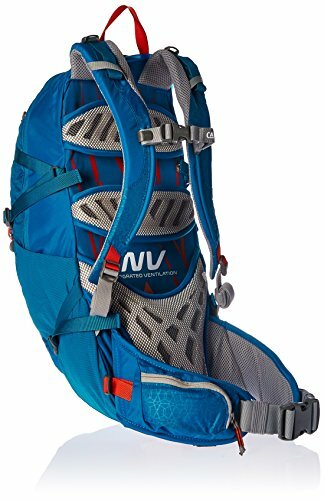 This Fourteener delivers the ultimate balance of weight and comfort with maximum ventilation, as well as that advanced hydration system that is the core of this backpack. The water reservoir works on their Crux system which is proven to deliver 20% more water with every sip. It is also quick and easy to disconnect so that you can conveniently re-fill when you need to top up the water on-board. Further, it features a fast link system so all you need to do is press the button and your water reservoir is disconnected. You can then remove and refill the Crux compartment without the fuss of ever having to unthread your drinking tube from the pack harness. This is going to save you so much time. That water chamber itself is securely housed and completely separate from the rest of the backpack, so there is no need to worry about any leakage. This means that all of your possessions remain safe and dry all day long. At the heart, or back rather, of the CamelBak is their ergonomic VN Back Panel system which keeps you fresh and comfortable at all times, no matter how heavy a load you are carrying, with its fully-articulated suspension system and multi-directional ventilation. Alongside the structured internal steel frame, there is also a convenient and secure fastening hip belt that assists with even weight distribution. This is precisely what you need if you are planning to be out for a whole day, especially if you have a heavy load. Moving on to the other internal carry features, as this is primarily a backpack after all, it is spacious and roomy with plenty of internal dividers and pockets to house all of your hiking essentials. Beside the large compartment, there are two stretch side pockets, useful for carrying items that you might need to access quickly. There’s also a fleece-lined, protected pocket which is perfect for your smartphone, wallet, and sunglasses. Externally, the CamelBak Backpack features multiple points where you can fix ice axes as well as your trekking poles, or other bulkier equipment that you might need for your trip. This is the perfect backpack for anyone who loves extended treks outdoors. If you are planning a day-long adventure, it is so important to keep yourself properly hydrated, no matter what the external weather conditions. Ensuring you have enough water for the day is critical, but carrying large plastic water bottles can be cumbersome, costly, and all that plastic is, of course, bad for the environment that you love to explore. Combining a fully connected water system along with a spacious, functional backpack, this latest model of the Fourteener 24 from CamelBak is a trekker’s dream bag encompassing everything that you need for a full uninterrupted day of adventuring! No need to worry about finding the nearest convenience store to replenish your water supplies mid-hike. You get the spacious backpack with its entirely separate internal Crux Reservoir water system. The CamelBak also features ergonomic NV comfort, and foam fitted back panel with advanced integrated ventilation for your supreme comfort. If you are looking for something that still has the built-in hydration system but isn’t quite as large as the Fourteener 24, then you might consider instead their smaller model, the Fourteener 20. You are still getting all the great attributes and benefits of the CamelBak brand but in a slightly lighter bag with smaller fluid capacity, so overall it won’t be quite as heavy to carry. 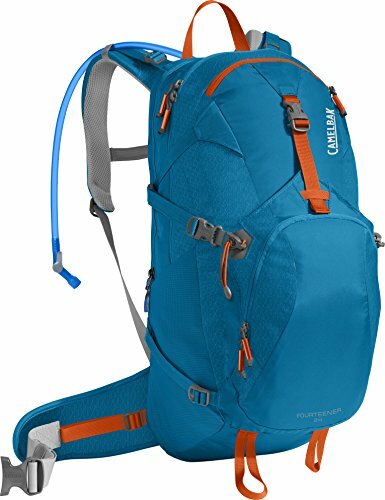 Really what’s not to love about this CamelBak Fourteener 24 Hydration Backpack? We’re stumped trying to come up with criticism, and just a quick review of all the glowing and positive feedback online tells you everything you need to know about what a fantastic purchase and investment this bag will honestly be. Three whole liters of water literally on your back and at your fingertips, ready to keep you hydrated throughout the most extreme and challenging of ascents. Alternatively, if you are on a gentler hike or trek for the day, you can literally head out for the whole day without worrying about having to top up on your fluids. Better still, it is ergonomically designed with your ultimate support and comfort in mind, with its foam back pads and secure fitting straps. No matter how heavy the load you are carrying, this backpack ensures you get an even and consistent weight distribution so that you can put your energy into the next climb and not worry about constantly having to adjust your backpack. 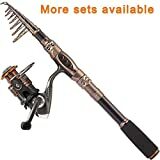 It is a wonderful choice for any real lover of outdoor pursuits.